In many ways, nutrition has been a lost frontier in achieving optimal health. Only relatively recently—and outside of some early adopters—has the role of nutrition been appreciated in athletic performance, healthy aging, degenerative diseases, and most importantly maintaining health for as long as possible. To further understand, fine-tune, and improve the positive role nutrition plays in optimal health, a significant innovation in nutrition must occur. When it comes to the field of nutrition, there are a few areas that are ripe for innovation. However, before we get into innovation in nutrition let’s start with a brief history of nutrition to help understand how we got to where we are today. In talking about essential nutrients, we are talking about the compounds we must get through our diet or nutritional supplement to sustain life. These nutrients are essential because our bodies do not make them. There are two general categories of essential nutrients: 1) essential macronutrients and 2) essential micronutrients. Macronutrients are the nutrients we need in larger quantities (usually >1 gram). These are the raw materials our cells need to 1) build the structures that make up our bodies and 2) burn for energy—fats, proteins, and carbohydrates. Essential micronutrients are the minerals and vitamins our bodies need but in smaller quantities (usually <1 gram). Some minerals, like calcium, for example, could be considered macronutrients because we need them in large dosages. However, because we cannot burn calcium and other minerals for energy, most nutritionists lump them into the “micronutrient category.” Simply put, essential minerals are the inorganic substances our bodies need to support life, and the essential vitamins are the organic compounds our bodies need to support life. It has long been appreciated that we must eat food (macronutrients) to survive. It has also long been appreciated, mostly from early physicians, that minerals are important because of the composition of bone. However, the role essential vitamins played in health remained much more elusive. It is the luxury of 21st century hindsight that makes the discovery of essential vitamins so interesting. Therefore, vitamins will be the main focus of this brief historical perspective. Although they didn’t know it at the time, it was the earliest seafaring explorers who were responsible for the discovery of vitamins. On their long voyages, sailors would almost exclusively eat dehydrated foods and fish with little or no fresh fruit or vegetables. 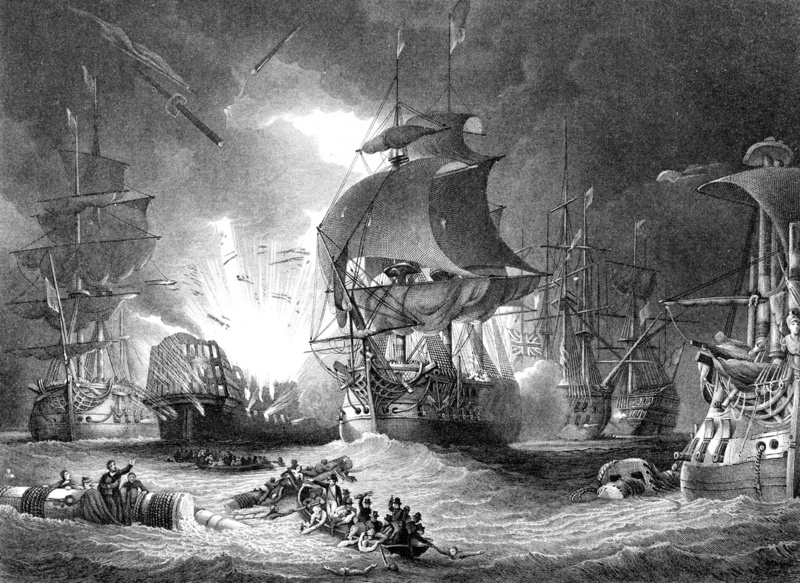 This diet put sailors at risk for vitamin C deficiency and scurvy. The severe symptoms of scurvy (general weakness, tooth loss, blood spots, excessive bruising, etc.) would appear as soon as 10 to 12 weeks into a voyage—the first observable and documented disease of nutritional deficiency. 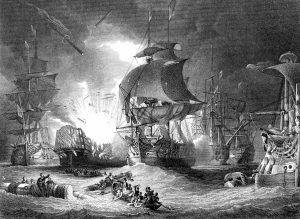 However, it was also observed that as soon as sailors reached land and began consuming “acid fruits,” their symptoms would disappear in as little as one to two weeks. 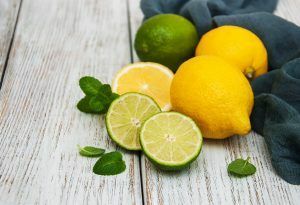 The British navy was the first to appreciate this observation and adopted the use of citrus juice (mostly lemon or lime juice) into the sailors’ daily rations—all but curing this disease in its sailors. The exact reason and specific compound(s) responsible for the amelioration of scurvy would evade discovery until the early 1930s when a Hungarian researcher, Albert Szent-Györgyi, discovered vitamin C—literally hundreds of years later. Again, with the luxury of hindsight in modern science and medicine, it is clear why scurvy was the primary concern of these early explorers. Vitamin C is highly water-soluble. We have a relatively high daily requirement because we are one of the few animals that does not synthesize vitamin C. And the fact that we are poor at recycling it means that vitamin C is usually the first nutrient depleted from our bodies. Thus, scurvy is one of the first diseases of nutrient deficiency to manifest overt symptoms. Fast forward to the 1800s when widespread European colonization of Asia, Caribbean, and Pacific Islands was occurring, and many other diseases of nutrient deficiency began to be observed. It was only when the observations of different European physicians were lumped together that the role of nutrition in preventing diseases of nutritional deficiency became clear. Basically, sailors, soldiers, prisoners, and even farm animals fed homogeneous, restricted, and/or limited diets became at risk for “disease.” However, proving exactly what caused these diseases proved to be elusive. Further compounding the discovery of essential vitamins was timing. Research into diseases of nutritional deficiency was occurring at the height of the “Pasteurian revolution”—or “germ theory of disease”—a time when microscopic organisms were thought to be the cause of all maladies. This led researchers down many experimental dead-ends. It wasn’t until the 1890s that a Dutch physician working with chickens discovered the difference between a chicken (or soldier) developing the “neurological disease” known as beriberi was whether they were fed “brown” or “white” rice. This discovery was ultimately responsible in solidifying the notion that “components of food” could be responsible for health or disease. This sparked a scientific revolution into the 1900s that lasted up through 1941 when folic acid, the last discovered essential vitamin, was described. During the second World War, a time when global war and economic depression was occurring and food rationing and starvation were rampant, the United States determined it needed to set nutritional guidelines. No doubt to gain an upper hand in the war effort, the United States National Defense Advisory Commission mandated the United States National Academy of Sciences establish the United States National Research Council to investigate the role nutrition might have in national defense. The goal was to maintain a healthy fighting force and civilian population, and help guide overseas relief efforts. In 1941, the first Recommended Daily Allowances, or RDAs, were put into practice. 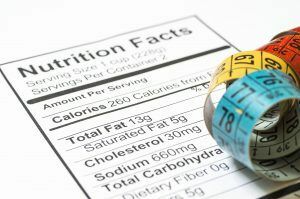 While these dietary guidelines were initially established by the United States, many countries around the world have either adopted these guidelines outright or have some modified version thereof. The RDAs (or the now broader dietary guidelines known as the Dietary Reference Intakes) are only updated on average, every five to 10 years. As such, since their inception, these dietary recommendations have only been updated a handful of times and leaves us where we are today. The common denominator of how essential vitamins were discovered and how governmental guidelines were established was “preventing diseases of nutritional deficiency and other complications of malnutrition”. Thus, these governmental regulations, guidelines, and recommendations have never been considered dosages to achieve “optimal health”. For regulatory agencies to ultimately modify their recommendations from “minimal amounts” of nutrients to stave off diseases of nutritional deficiency to “optimal amounts” of nutrients to promote health, significant investment and novel experimental approaches in the nutritional sciences must occur. For the general public to benefit from this science it must be accessible, understandable, and ultimately simple, personalized nutritional recommendations made. To marry these seemingly distinct goals, a significant innovation in nutrition must occur. Our bodies and cells work because of biochemical reactions occurring within them. For these chemical reactions to work and to work as efficiently as possible, they need a number of nutrients and cofactors—in the right concentration, balance, and form—to function optimally. To date, there has been a severe drought of basic nutritional research in determining what exactly are “optimal levels” of nutrients we as individuals should be striving to consume daily. For example, what are optimized levels of nutrients to maximize athletic performance and let us age healthily? And most importantly, what levels of nutrients do we need to consume daily as an individual to maintain health for as long as possible—our so-called “healthspan”? This gap in the scientific literature is likely due to two major factors. First, is a general lack of funding for nutritional research, both from governmental agencies and the private sector. The lack of funding from many major governmental agencies is likely multifactorial and complicated, but whatever the reason, there simply has not been the dedication to funding nutritional research relative to other areas of study. In regards to the private sector, large-scale, long-term human clinical trials are very expensive. These clinical studies can cost millions of dollars per year to run. And because many of these studies would need to be run for five, 10, 15, 20, or more years, they simply become cost prohibitive for even the largest of corporations to fund solely out of revenues. Second, many scientists have recently called into question whether the traditional scientific model of “randomized, placebo-controlled trials” (so-called RCTs) are the right method to conduct nutritional clinical studies. These RCTs work well in the pharmaceutical industry because the molecules they are experimentally testing are almost never found naturally within our bodies. 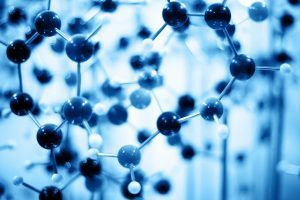 Because many governments prohibit patenting natural compounds, the pharmaceutical industry must develop synthetic molecules to patent-protect their research investments. This makes pharmaceutical experimental methods much more straightforward and much easier to determine a direct cause-and-effect. Their potential new drug is either found in us or not; their potential new drug either has an effect or not. Because of this literal binary methodology, these studies are much more cost effective and direct conclusions easier to draw. This is not the case with nutrition. When similar clinical studies are performed in humans, we will all have some baseline level of nutrients in our bodies simply because of the food we eat. Further compounding this fact, based on the specific diet each of us is eating, some of us will have relatively high levels of some nutrients, and others relatively low levels. This fact is almost never considered when designing nutritional studies. Taken together, nutritional experimental methods become much less straightforward. These differing baseline levels increase experimental error. Because experimental error can become high this makes determining a direct cause-and-effect of nutritional interventions on a specific health outcome much more difficult to conclude. Without proper experimental design, having massive numbers of test subjects, and proper statistical analyses, this core difference in pharmaceutical and nutritional research often explains many of the equivocal results published in the scientific literature. Further compounding experimental design and the interpretation of results is that nutrients don’t work in isolation in any single biochemical/metabolic pathway. Within every given metabolic pathway within our cells, there will be a number of nutrients and cofactors facilitating the biochemical/metabolic reactions. Thus, experimentally testing one nutrient in the context of all the other nutrients needed in a metabolic pathway and measuring a health improvement is hopeful at best. 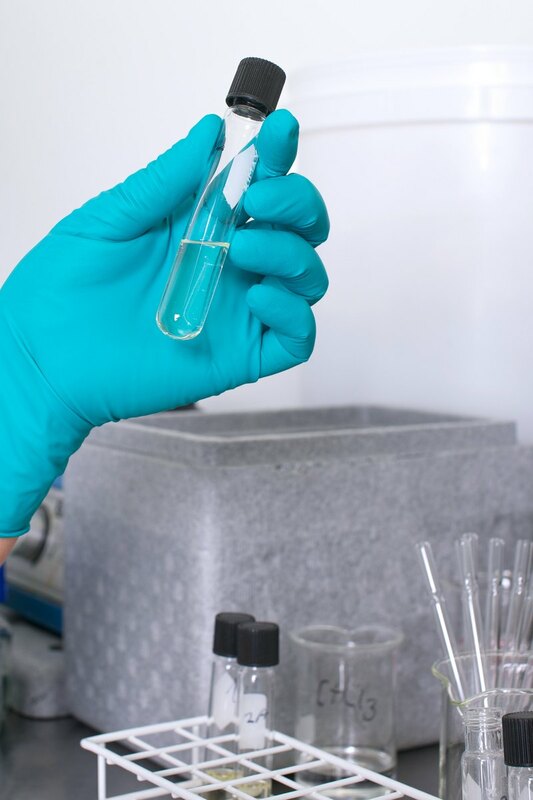 Based on nutritional and biochemical/metabolic science, best practices would include experimentally administering all nutrients in a given biochemical/metabolic pathway where a specific health outcome is desired. This, however, goes against the hundreds-of-years-old “scientific method” every scientist is taught. The scientific method states that only one experimental variable can be changed relative to the control or placebo group. In literally every case of nutrition as it relates to health and disease, this is simply a flawed approach. Proper nutritional and biochemical/metabolic practices would demand all known nutrients in a given metabolic pathway be experimentally administered to expect a health improvement. However, this practice not only goes against the scientific method but also compounds a clear cause-and-effect interpretation of results. While this fact is appreciated by many nutritional and biochemical/metabolic scientists, when applying for governmental research monies, any experimental design outside of the scientific method is generally considered “poorly designed” and often fails to receive funding. Simply put, for significant innovation in nutrition to occur, there needs to be a renaissance in basic nutritional science. For that to happen, a dogma change in traditional nutritional experimental design has to occur. New experimental paradigms will also need to be developed to answer nutritional experimental questions. And this is exactly what some forward-thinking nutritional and biochemical/metabolic scientists are doing—looking for methodologies outside of the traditional scientific method to answer nutritional research questions. These scientists are taking a non-hypothesis driven, non-targeted approach to nutritional science. That is, giving many nutritional interventions simultaneously relative to a control group, measuring numerous biochemical and metabolic outcomes, and then reconstructing the data based on known biochemical and metabolic principles. While this is a costly, complicated, and time-consuming approach it is allowing these scientists to make strong relationships between multiple nutritional interventions and their effects on biochemical and metabolic pathways. In other words, they are letting the data tell the story and not forcing data into preconceived or biased hypotheses because of flawed experimental design. This is likely the approach nutritional scientists will need to take in the future. 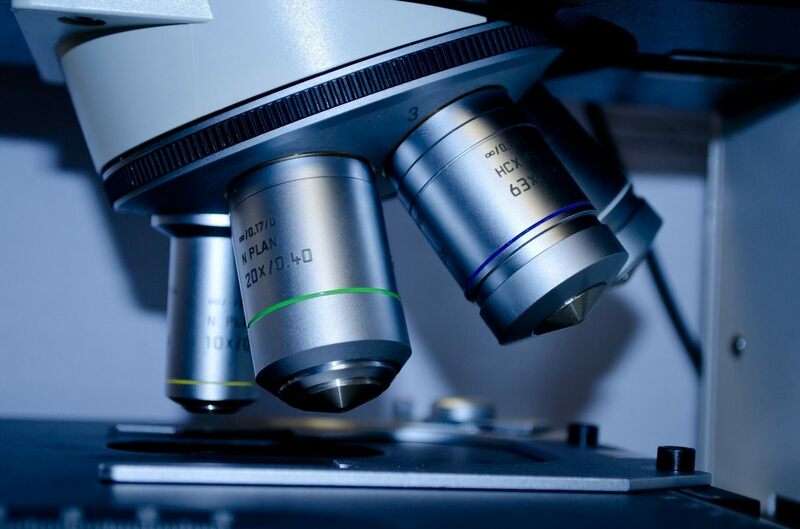 Ultimately, increased research funding, a renewed resurgence and commitment to basic nutritional research, and improved and novel experimental designs constitutes a great innovation in nutritional science. We clearly need essential nutrients to survive and be healthy. But a new aspect of nutrition that is increasingly being appreciated is what is known as “conditionally essential” nutrients. As mentioned above, the last essential vitamin (folic acid) was discovered in 1941. And while there have been some potential candidates of yet undiscovered essential nutrients such as pyrroloquinoline quinone (PQQ for short), ergothioneine, and others, the likelihood of finding another absolute essential vitamin is unlikely. However, what is likely to occur through increased nutritional research is the characterization of more and more conditionally essential nutrients and cofactors, including essential vitamins and minerals. What are “conditionally essential nutrients and cofactors?” Unlike essential nutrients directly linked to diseases of nutritional deficiency, there is no direct link between conditionally essential nutrients and cofactors and diseases of nutritional deficiency. However, what we are talking about are potential sub-clinical deficiencies were no overt signs of disease are present but where metabolism and cellular function are compromised. A nutrient or cofactor might become conditionally essential during different stages of our lives. For example, we know that as we get older our bodies don’t absorb minerals and some vitamins as efficiently as in our youth. Additionally, it has been shown that non-essential nutrients and cofactors such as lipoic acid and carnitine decrease with age. We know that many elite athletes and women of childbearing age tend to need more iron and many other nutrients to maximize oxygen carrying capacity and support the additional stresses of athletics and child rearing. We know that following an acute physical injury, vitamin D levels crash. We know that we put on the majority of our life-long bone mass before the age of 20 and so pound-for-pound (or kilo-for-kilo), children need more bone minerals than adults. A better understanding of candidate nutrients and cofactors that may not be “essential” by the strict nutritional definition but that may lead to a subclinical and compromised cellular, tissue, or organ function is needed. Or alternatively, describing conditionally essential nutrients and cofactors that would deliver additional health benefits through increased levels of supplementation. Expanding research into characterizing conditionally essential nutrients and cofactors to better determine the exact dosages needed, at specific periods of time in the lifespan, would be a great innovation in nutrition. It has been proposed by some theoretical biologists that the odds of any one of us being born exactly like we are, at this specific point in time, and under these specific circumstances to be around 1:400,000,000,000 (yes, one out of 400 trillion). So by that definition, if there were 400 trillion people currently living on Earth, there might be someone who was exactly identical to you or me in every way. Since there are currently only seven billion people on Earth, the likelihood that any two of us are exactly identical is highly unlikely at best. Therefore, one could easily surmise that we all have individual, unique, and personalized nutritional requirements. Historically speaking, governmental agencies have not taken this nuance into account. Many recommendations coming from various regulatory bodies have lumped all nutritional requirements into large, population-based groups. Only more recently have different “life stages” and nutritional requirements been appreciated: for example, how old we are, if we use tobacco, or if a woman is pregnant or breastfeeding. To have useful innovation in nutrition, it will be paramount to understand what smaller and more defined populations’ specific nutritional needs are—and ultimately any given individual’s exact, specific nutritional requirements—to increase the efficacy of nutrition as it relates to promoting optimal health. It has long been appreciated that our cells contain extensive communication networks known as cell-signaling pathways. These cell-signaling pathways allow the cells to communicate what is happening within a single cell, to its neighboring cell, or to cells that may be long distances away. The sole purpose of these cell-signaling pathways is to help a cell, tissue, or organ adapt and respond to its environment. How does this work? There are “sensor molecules” (usually proteins) that live both on the surface and inside all cells. Like a lock and key, when the right molecule (key) hits the right sensor (lock), you initiate a cell-signaling pathway and communication commences. Think of a chain of dominoes being knocked over. 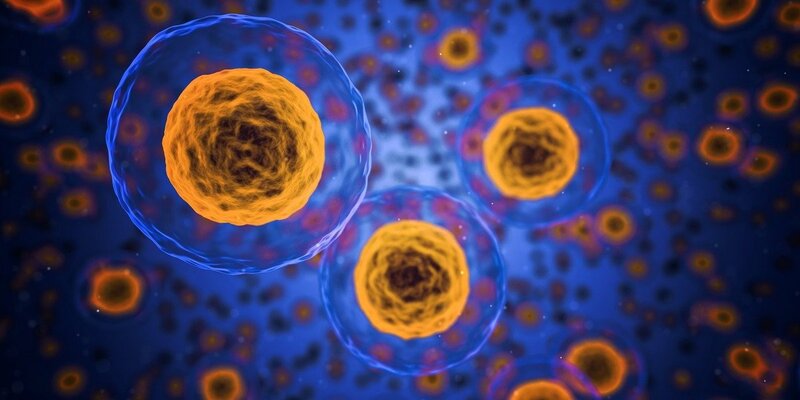 Once initiated, the cell signaling pathway will ultimately have a physiological effect on the cell, tissue, organ, or even the body’s entire physiology—either turning biological processes on or turning biological processes off. Certain nutrients can work at the molecular level to target cell-signaling pathways and yield a health benefit. For example, the compounds found in dark chocolate or the seeds of grapes can help support cardiovascular health. Caffeine can mimic adrenaline and give us both heightened cognitive function and improved athletic performance. Certain nutrients from plants (phytonutrients) have been shown to activate our body’s own natural detoxification processes, while others act like non-steroidal, anti-inflammatories (so-called NSAIDS). This happens because nutrients are working at the molecular level to activate cell-signaling pathways. And nutritional scientists are now capitalizing on molecular targeting of natural compounds within a cell to elicit specific, healthful, and efficacious physiological effects. Learning exactly which nutrients—and at what precise dosages—target specific cell-signaling pathways to yield health benefits is in its infancy, and it is ripe for innovation. 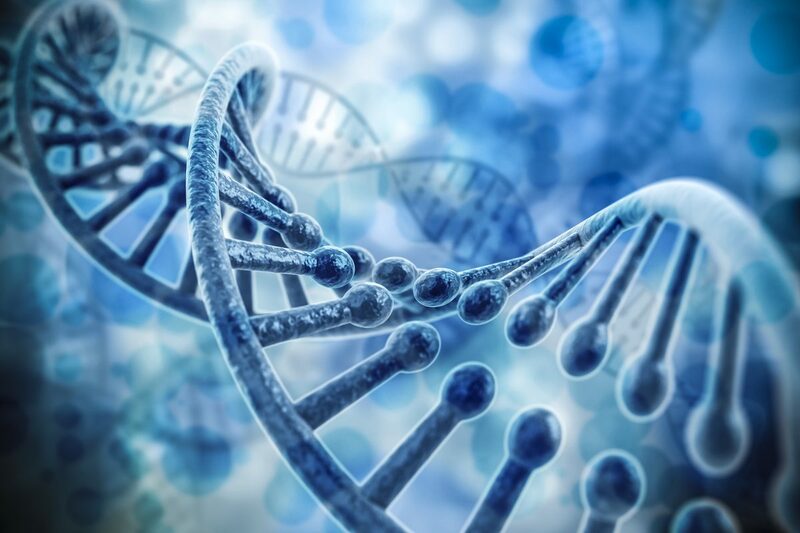 The so-called “omics revolution” has been trendy in science, especially the biological sciences. The phrase comes from the suffix of many subfields of biology such as genomics (the study of DNA), proteomics (the study of proteins and enzymes), microbiomics (the study of microorganisms that live in and on us) and metabolomics (the study of metabolism). This “omics” trend is the result of a notion in biology known as “systems biology”—how all the individual systems are working within our bodies to make us who we are. This is taking a more computational or engineering approach to understanding biology: from looking at what is in our DNA and what it tells us about our propensity for a particular health outcome (genomics), to how our cells turn that DNA message into our cellular protein machinery (proteomics), to how all the mutualistic microorganisms that live in and on us interact with our environment and affect our physiology (microbiomics). Systems biology’s promise was to look at the complex interplays within those systems to help us understand the complexity of biology. And while systems biology was meant to give us less of a reductionist approach to biology, it has failed to deliver fully on its promise. It turns out there are many systems within the cell, so studying a single system (genomics, proteomics, microbiomics, etc.) doesn’t give us the complete picture, much less the interplay among all of these individual systems. But if you believe that, biologically speaking, we are nothing more than a bag of biochemical reactions—and it is those biochemical reactions that make us who we are—there could be one “systems approach” that could give us tremendous insight and help us innovate in nutrition. That promise is metabolomics. As mentioned above, metabolomics is the study of the biochemistry of our entire metabolism. The promise of metabolomics comes from the fact that it takes into account many, if not all, systems in systems biology. Hierarchically speaking, it is the one process that can take all potential variables into account, simultaneously, regardless of the DNA we inherited from our parents; regardless of how efficiently we turn that DNA into useful protein machinery for the cell; regardless of how our microbiome is affecting our physiology; and regardless of things we haven’t even talked about yet, such as how efficiently we absorb nutrients, our lifestyles, and the environment in which we live. All of these things directly or indirectly affect our cellular biochemical reactions, and metabolomics takes all of these—and more—into account. The promise of metabolomics also comes from the fact that our specific cellular biochemistry has been known for a number of years; that is, literally, every metabolic pathway in our bodies has been mapped out—not just the major players and pathways, but also the minor pathways and “metabolites.” By having such well-defined cellular biochemistry that includes the biochemical reactants, the metabolic intermediates, and all the necessary enzymes, cofactors, vitamins, minerals, etc. needed to conduct this biochemistry, we can know if our metabolism is functioning optimally or might be perturbed. And because there are trillions of chemical reactions occurring at any given time within our body, we can literally get a minute-by-minute or even second-by-second snapshot of how our metabolism is running. All that said, it is exactly this promise of metabolomics that has also been the very thing to hold it back. Many researchers have shied away from full-blown metabolomics because of its inherent complexity. To get a complete view of our “metabolome” (everything that makes up our metabolism), one would literally have to measure hundreds-of-thousands of metabolites, simultaneously, as often as possible, over a wide-range of scenarios, to get an accurate view. As you can imagine, that becomes exponentially complex very quickly. But technology in this field is rapidly advancing. It is now possible to measure tens-of-thousands of metabolites experimentally with more being added literally every day. But this complexity would only exist in the initial basic metabolomics research. Once an accurate snapshot of the metabolome, over many lifestyle scenarios, was captured, it would be possible to utilize a few key metabolites to know exactly how our cells are functioning. And going back to nutrition, we could determine exactly what we needed to put in our bodies to keep those cells functioning as optimally as possible. What should I eat? Carbohydrates? Proteins? Fat? When? Am I nutrient deficient? What nutrients do I need? When? And at what dose? The level of granularity, specificity, and real-time feedback provided by metabolomics is its real promise. Going back to our example of scurvy (the disease of vitamin C deficiency): the reason individuals’ teeth fall out, they bruise easily, and they usually die of a cardiovascular event (aneurysm or heart attack) is because vitamin C is required for collagen synthesis—the “molecular glue” that holds our cells and blood vessels together. In this example, utilizing metabolomics, if we could identify when collagen synthesis or some seemingly unrelated metabolite first begins to become compromised, we could intervene and recommend consuming vitamin C to get this metabolic pathway back on track. This metabolic compromise could be identified far before any clinical symptoms present themselves or even subclinical consequences would negatively affect the cell. And we could use similar examples for maximizing energy production, muscle synthesis, brain function, and markers of disease or health. Literally, every biological process could be optimized using metabolomics. A better basic understanding of metabolomics and which key metabolites to use as markers of optimal nutritional status and health is the penultimate innovation in nutrition. There are currently a number of devices available on the market whereby consumers can measure a number of important health endpoints. 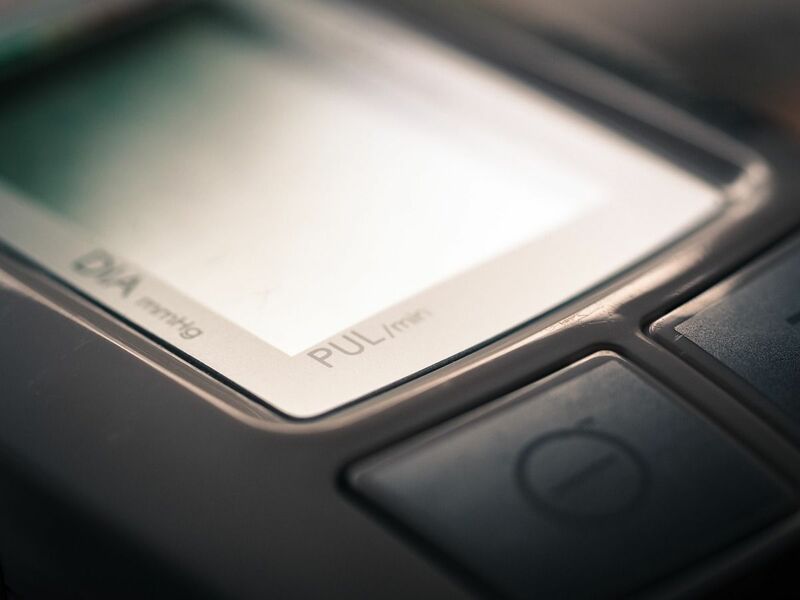 In terms of currently accepted medical devices, they include instruments that measure blood pressure, pulse wave velocity, weight, body composition, blood lipids, cholesterol, C-reactive protein, body temperature, and blood glucose, to name a few. The popularity of fitness trackers has exploded to a global multi-billion dollar industry. 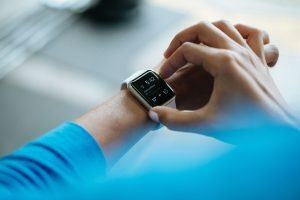 Clearly, there is a demand for devices that give real-time feedback on health measurements. The most popular fitness trackers tell us how many steps we’ve walked, how far we’ve run, how efficient our swim stroke was, what our cycling cadence and power output is, heart rate, calories burned, and how well we have slept. In more recent years, there’s been a resurgence of non-invasive technologies where specific wavelengths of light are shone into human tissue to determine health endpoints, such as blood oxygen saturation, pulse, macular pigment density, skin health, hydration, and even the status of certain nutrients, and antioxidants, with blood glucose being the “Holy Grail” of “Big Pharma.” You are also probably familiar with breathalyzers that can determine our blood alcohol content. There has also been a resurgence of breathalyzers (measuring metabolites in our breath) to determine metabolic health or even outright disease states. Where this industry has left us short is being able to couple all of the aforementioned endpoints, and others, into a single device to give us a comprehensive look into our health status. Merging all of these endpoints and technologies into a single device that could measure our nutritional and health status in real-time would be a huge innovation in nutrition. The final innovation that needs to occur in nutrition is taking the comprehensive medical device referenced above and coupling it to the latest scientific discoveries in nutrition, medicine, and metabolomics. Imagine the possibilities if you could hold a medical device up to your finger; maybe give a small drop of blood or shine a light into it, or blow through a tube to get an overall snapshot of what your metabolism (metabolome) looks like in real-time. You could then take that information and receive a recommendation of a nutrient you might be low in, a food you should eat, or if you need to exercise. Such a device would ensure we keep our metabolism and biochemistry working as efficiently as possible and almost literally in real-time. We could maximize athletic performance, optimize our health, and most importantly, maintain our healthspan for as long as possible. Coupling cutting-edge nutritional breakthroughs, especially in the field of metabolomics, with a comprehensive, non-invasive medical device to give us an instantaneous snapshot of our metabolic health, and hence our overall health, is the ultimate innovation in nutrition that will meaningfully affect human health. The mid-1800s through the mid-1900s was the defining time in nutrition. Those 100 years set the tone for how we think about nutrition today—minimal amounts of nutrients treating diseases of nutritional deficiency. We need to change the current nutritional dogma from minimal amounts of nutrition to optimal levels of nutrition to promote optimal health. If meaningful innovation in nutrition is to occur, there must be a renewed emphasis and dedication to basic nutritional research, especially how nutrients work on the molecular level. New scientific methods applicable to nutrition must also be developed and accepted in the scientific community to take less of a reductionist approach to nutritional research and more of a systems—or engineering—approach. The systems approach that is the most promise in nutrition is metabolomics, and this is where the majority of nutritional research should occur. Applying novel, non-reductionists, untargeted, non-hypothesis driven research methodologies to metabolomics will create real innovation in nutrition. Once we achieve a relatively complete understanding of how nutrients both directly and indirectly affect our metabolism, can we couple this knowledge with existing medical devices and develop new ones. Together, this will turn basic research into usable and actionable information whereby any consumer can take deliberate action to ultimately increase their health span. This is the promise of innovating in nutrition. Dr. Brian Dixon earned his Ph.D. in molecular and cellular biology from Oregon State University in affiliation with the Linus Pauling Institute. Dr. Dixon joined USANA’s department of research and development in January of 2009. As an integral member of USANA’s scientific staff, Dr. Dixon’s main role was to facilitate and manage all human clinical studies conducted at, and funded by, USANA and lead the product innovation team. In November of 2014, Dr. Dixon was asked to head the newly formed department of health and science education as its executive director. He continues to lecture internationally on the importance of nutrition for optimal health and manages the very popular website AskTheScientists.com, where users can find science-based answers to questions about health, wellness, and nutritional supplementation.